Japan - Famous Navy key. 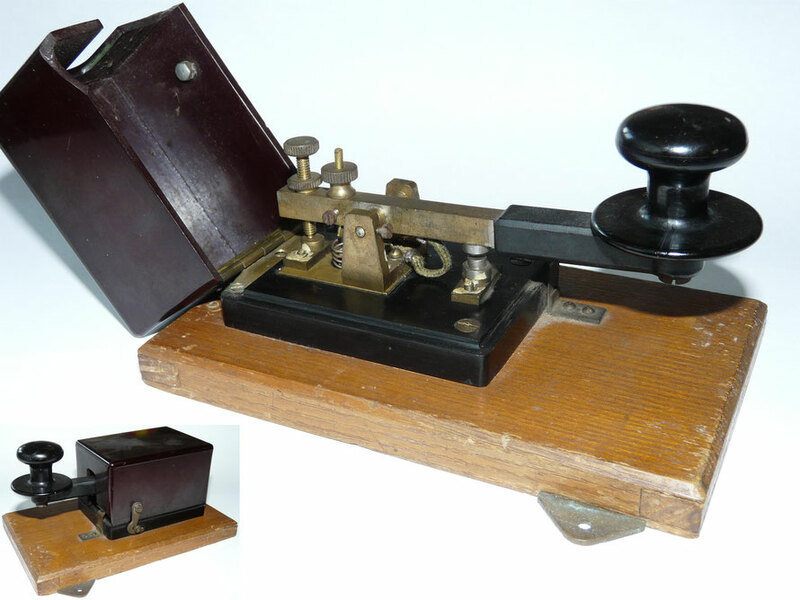 Type No2 MK II. Made by Maitsuru Navy factory. 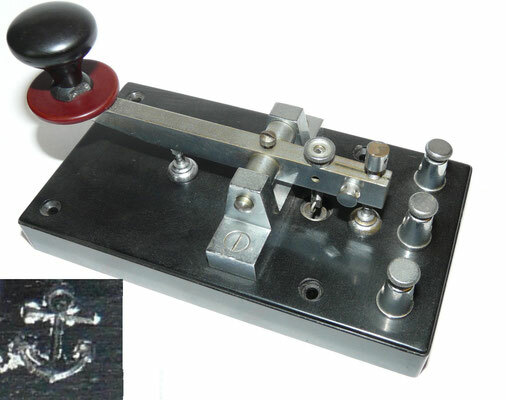 Has Navy mark. Any additional information will be welcome. 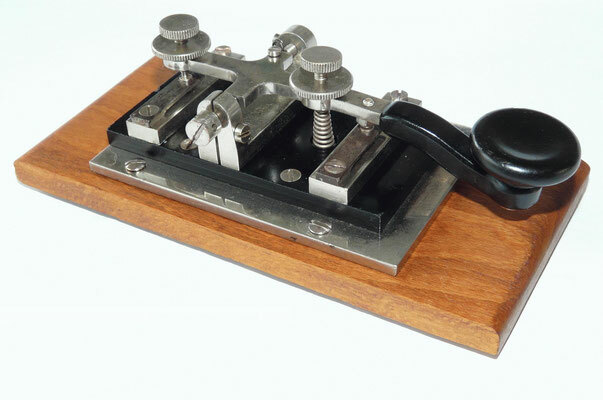 Japan - Morse key. Hi-Mound HK-703. 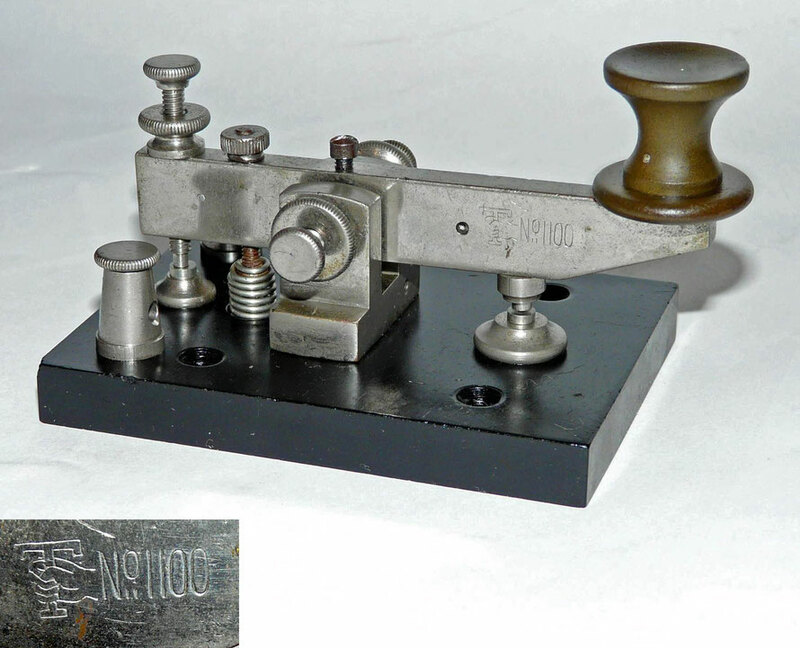 Japan - HI-Mound Telegraph key HK-710. With a heavy marble base. 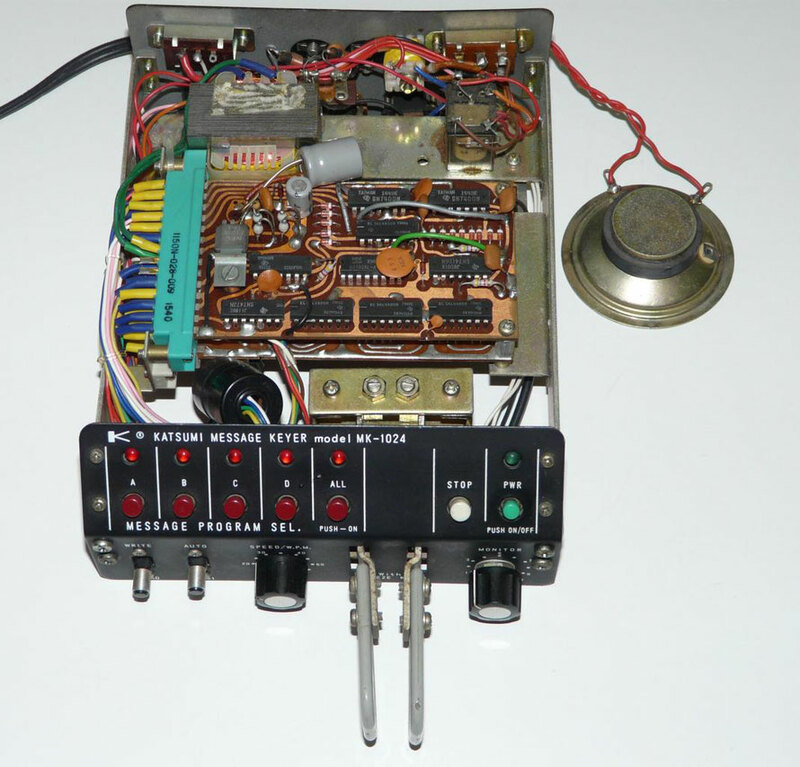 Made by HI-Mound Electro CO. LTD.
Japan - HI-Mound Manipulator. Elector C.O. Japan - HI-Mound Manipulator. 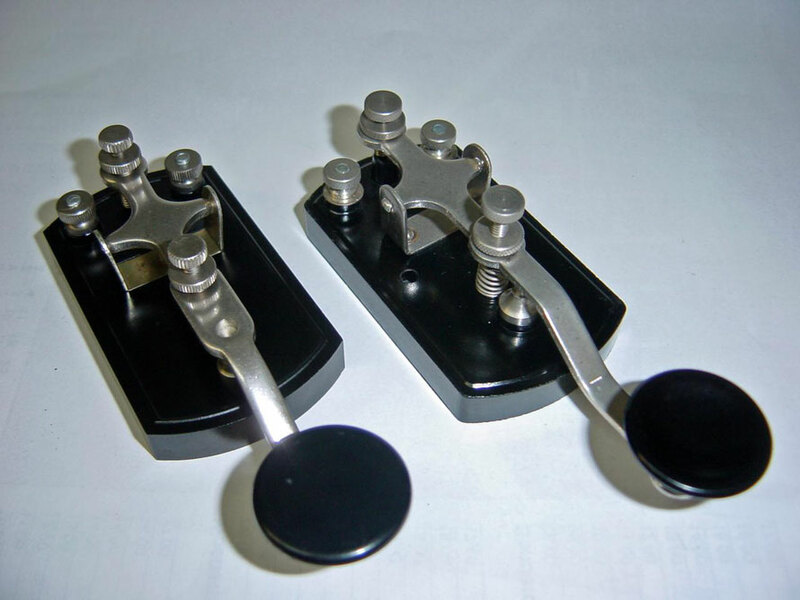 MK-706 dual electronic keyer paddle. 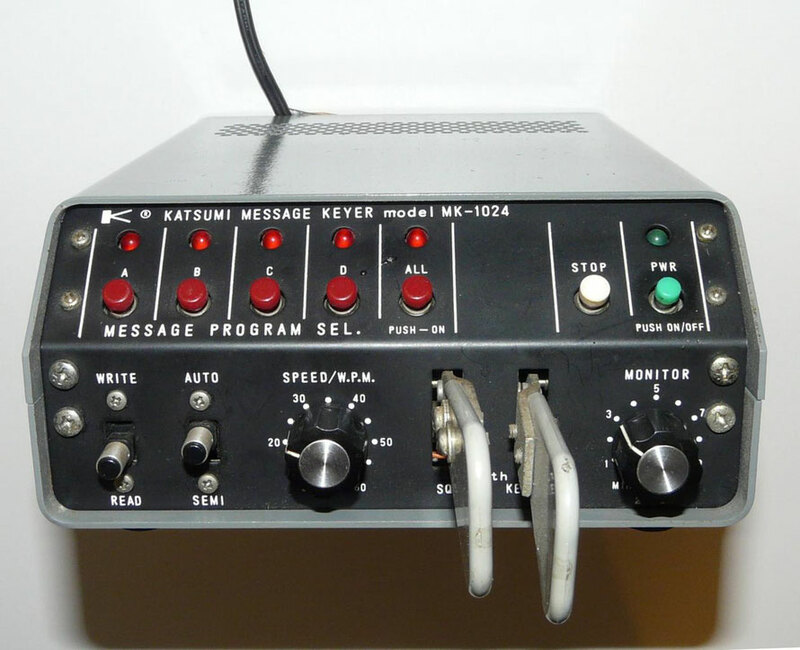 Katsumi Message Keyer MK-1024. 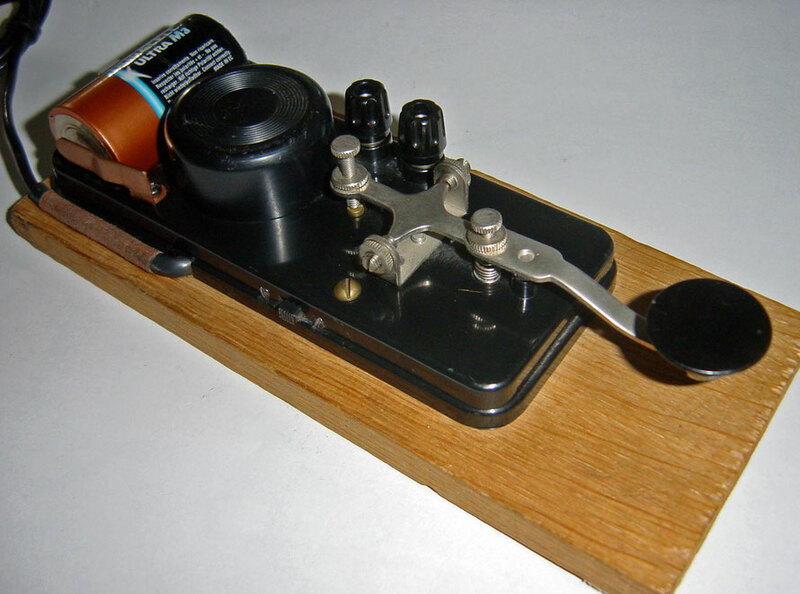 Electronic Keyer with programmable memory. Early 1960s. 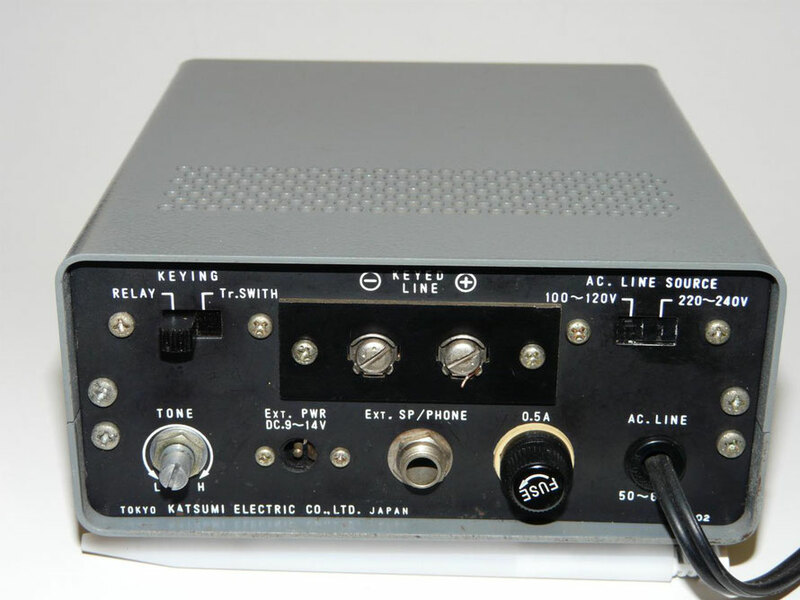 Japan - Katsumi Message Keyer MK-1024. 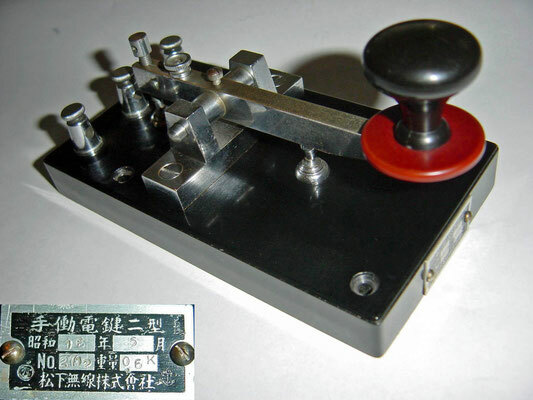 Electronic Keyer with programmable memory. Early 1960s. 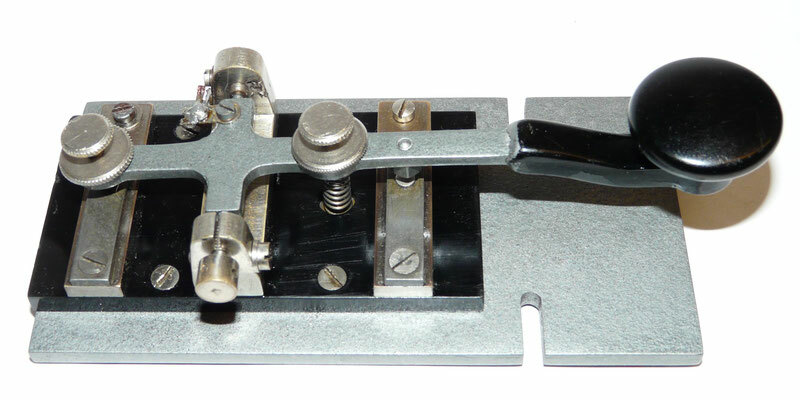 Japan - key with roller bearings. 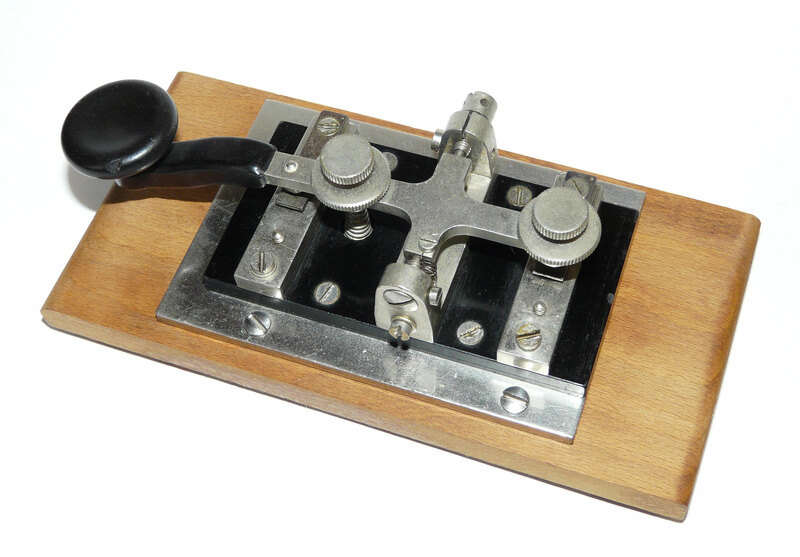 Japan - Practice key and buzzer. 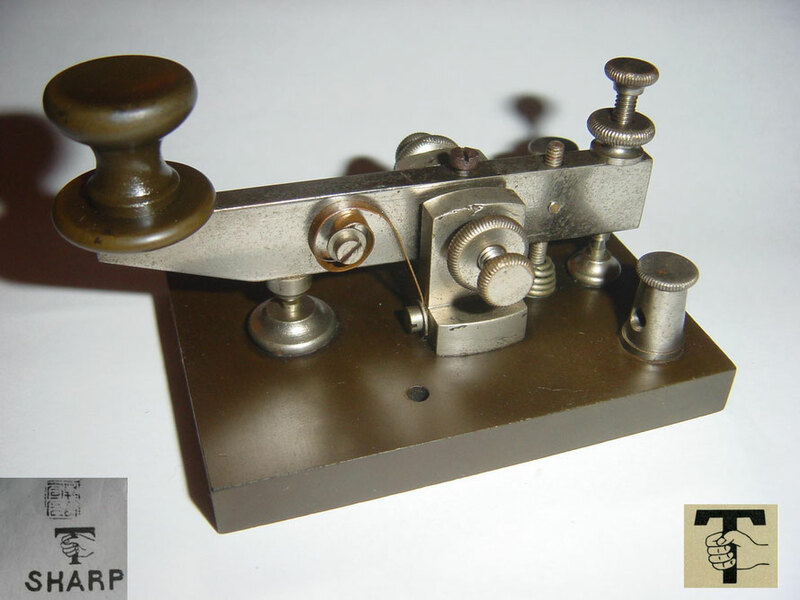 Japan - Sharp key. Circa 1933. Hayakawa Later Changed the Company Name to Sharp. The Symbol of the Fist Around the "T" Represented His First Name Tokuji. 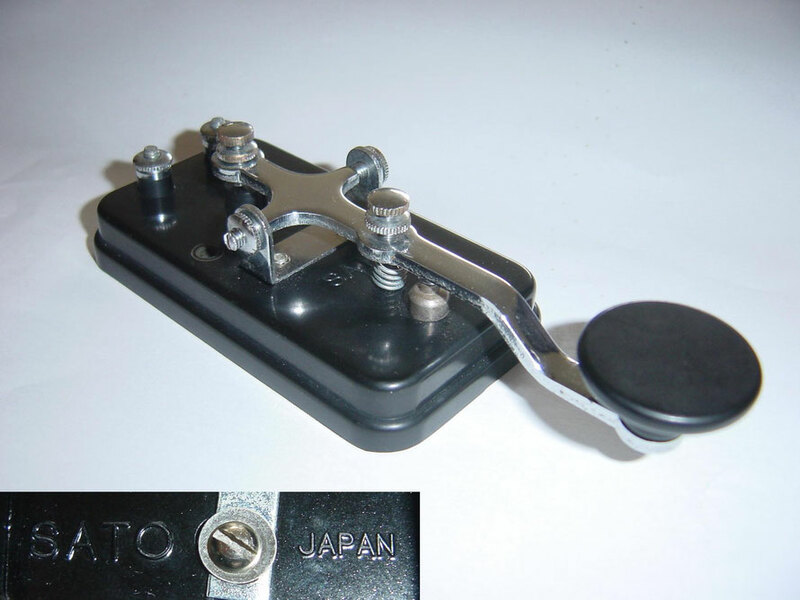 Japan - Sharp key. ~ 1933. Hayakawa Electric. No. 1100. 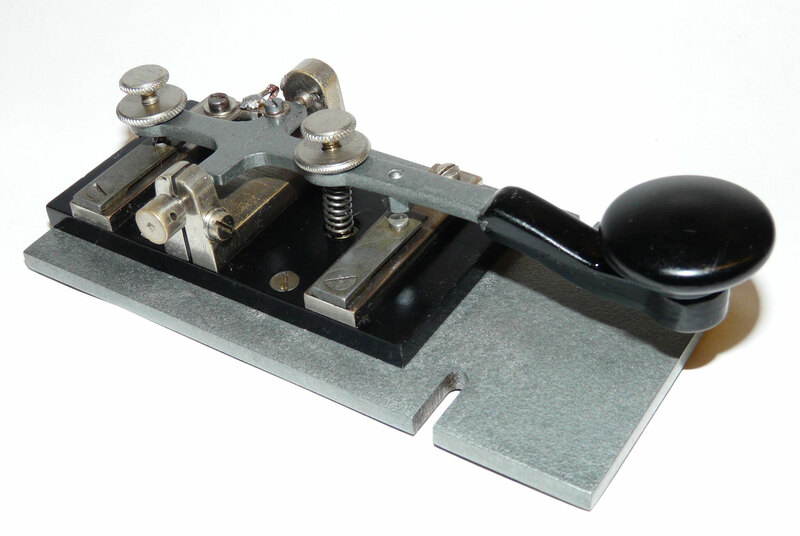 This Japanese key was attached to WW2 aircraft radio Model 99 Tobi Mk3. 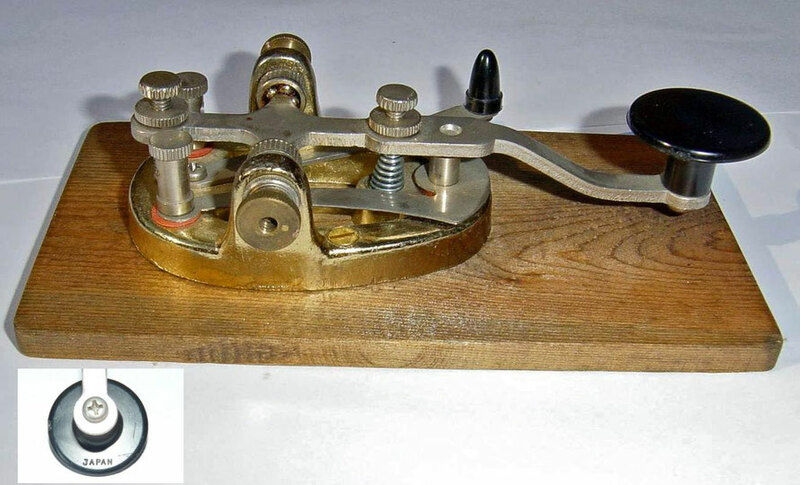 This type of telegraph key was also used with radio sets in WW2 Japanese Army bombers and transport planes. Japan - Toy. 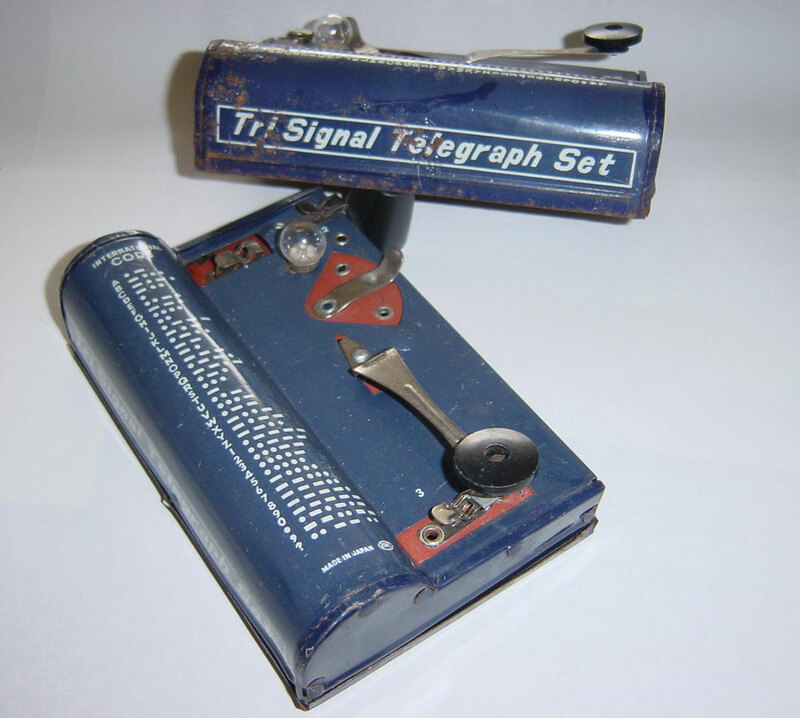 Tri Signal Telegraph Set.